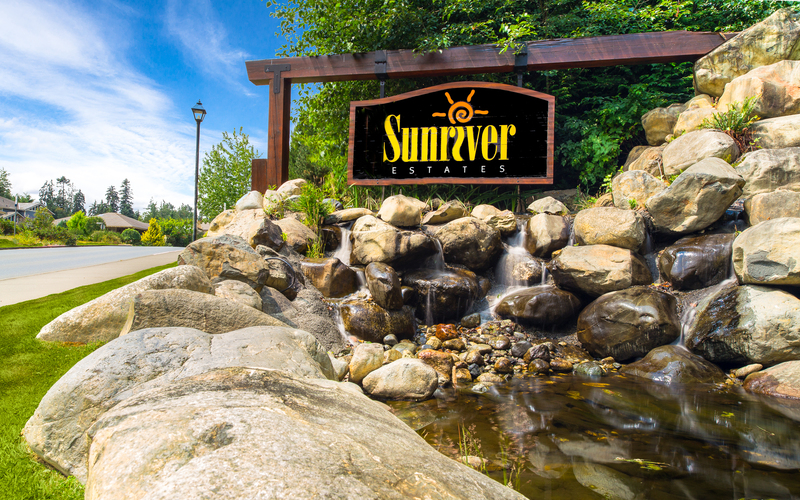 Sunriver Estates is a 382 acre planned community in Sooke BC, with parks, trails, and an on-site daycare facility. Close to fishing, SEAPARC Leisure Complex, schools, shopping, beaches and more. A continuation of Riverstone Drive. Limited release of our next classic lots. Sunriver offers 3 one and two level Craftsman style home designs to choose from. Pick your home design, foundation style, lot, upgrades and finishes, and we'll build your personalized dream home on one of our huge lots. An adult community along the Sooke River in Sunriver Estates. Now selling Phase 3! This inspired gated community is surrounded by Park land, Trails and the Sooke River. A Clubhouse to gather in with your neighbours, socialize with friends, or host a dinner or dance party also boosts 2 guest suites! Homes start at just $289,900. Take the time to fill out our contact form and tell us a little bit about yourself. We'll do our best to keep you up to date with the latest Sunriver Estates Victoria Real Estate developments and respond to your questions as soon as possible. ... We moved to British Columbia three years ago and have fallen in love with our community. It has the small town feel with the big city amenities. This was our first build and everyone that was involved, from the real estate team to the builder, went above and beyond to make sure our every need was met. Thanks to everyone who made our building experience memorable!